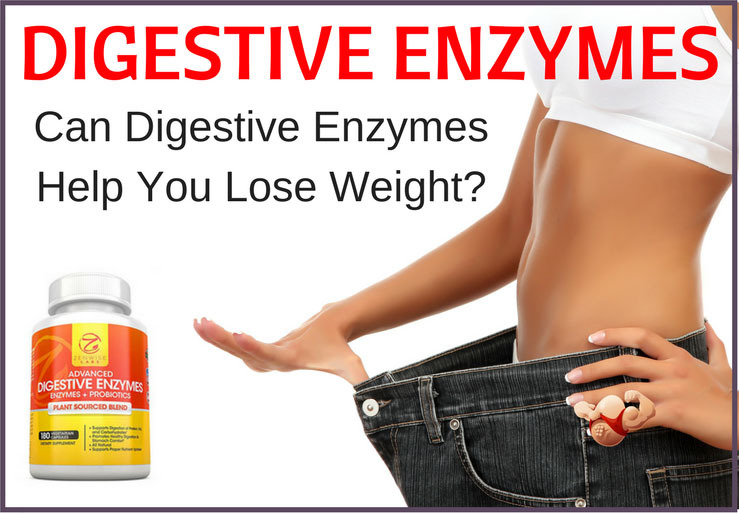 Home » Supplements » Can Digestive Enzymes Help You Lose Weight? Can Digestive Enzymes Help You Lose Weight? Choosing a digestive enzyme for weight loss can be a minefield, and do they really work? For real results and better health, they should be contained within a controlled diet and exercise regime to achieve your goal. The body already has around 3,000 active digestive enzymes, but any or some of these can become inactive in your life at any point in time. Between dieting, regular exercise, spa treatments and various over the counter pills that promise miracle effects, we are bombarded with techniques for weight loss. One method that perhaps does not attract as much attention is the use of digestive enzyme supplements, which are frequently used to improve internal digestive health as opposed to BMI reduction. Can These Essential Enhancements Really Help Us Drop Weight? The answer is yes to a certain extent, alongside other lifestyle changes, but first we should be aware of placebo effects. One of the key impacts of a digestive enzyme supplement is to improve the frequency of bowel movements in those who struggle with their digestive health, which in itself will assist in reducing weight, while the reduction of bloating will also make you feel considerably lighter. Be aware that the intake of digestive enzymes is not a quick fix on the way to rapid weight loss, and the majority of doctors would not recommend these supplements if that was the sole reason you were going to take them. Digestive enzyme supplements are at their most effective when coupled with a healthy diet however, and raw foods are particularly beneficial for this. Heating and cooking foods tends to kill off many of the nutrients found within, so focusing your meal plans on fresh fruit and vegetables will retain these essential vitamins and keep your body ticking along neatly. By also adding a digestive enzyme supplement to this healthy eating routine will go further to strengthen your attempts at weight loss. Of course, these supplements revolve around three key enzymes; protease (for breaking down proteins), lipase (for processing fat consumption) and amylase (to convert complex carbohydrates into simpler alternatives). By ingesting a supplement you will be stimulating these enzymes, and assisting their organic creation within the body; a process that greatly slows down as we age, with further loss caused by such frequent 21st Century ailments as stress1, lack of sleep2 and additive-centric foods. This is not necessarily as fast a process, and you won’t drop two dress sizes for a wedding in a month by using digestive enzyme supplements alone, but you will see a difference to your weight over time. You’ll also find yourself more energized, which will encourage you to add an exercise regime to your daily routine. Of these enzymes in question, lipase is the most important in regard to weight loss3. An increase of lipase will break down any fats that you do consume into increasingly smaller particles before passing them down to the digestive system, and as a result the human body does not store excessive amounts having instinctively entered starvation mode. This, however, does not sell short the roles of protease and amylase. The former will break down substantial proteins within the body and and clear toxins, while the latter has been shown to reduce stress4, thus assisting in the cycle laid out in the previous paragraph. What Is In Digestive Enzymes Supplements? Many of the digestive enzymes on the market actually contain a considerable percentage of ‘natural’ ingredients, that you can find equally as effective by a simple change of diet. Certain fruits, particular tropical ones, have weight-loss properties such as pineapple, papaya and mango. Not so long ago, in the last few years, the ‘pineapple diet’ was the in ‘fad’ diet due to its ability to assist rapid weight loss over a period of only a few days. Equally so, ‘African Mango’ was bought in as a supplement for the same reason – however, these were often sold by disreputable companies who tried to tie you into large purchases in advance. Following these came bee pollen, for the exact same reasons. If you are going to try purchase on line, make sure you get the full breakdown of ingredients and the percentage of the enzymes contained within – some have very little enzymic content, and frankly, could be rendered pretty useless either as a digestive aid, or a weight loss product. In some cases, you may just as well eat fermented vegetables and a tropical fruit salad to achieve the same results. There is no doubt however, that digestive enzyme supplements do improve your metabolic rate, but at a cost to your pocket as opposed to natural foods. Currently, there is no conclusive scientific evidence that costly supplements alone will result in weight loss. If you think about it logically, there are not many of us who could eat what we want, sit on the sofa all day and find we have miraculous weight loss by the end of the week, just by taking a supplement. Life just isn’t like that! ​So You Want To Try Taking Them? If you are now prepared to bring dietary enzyme supplements into your life, your next question pertains to which ones to select. Having done the research so that you don’t have to, here are 4 of the most reputable brands available on the market today. You can also check out article out with more indepth reviews here. Just to reiterate, digestive enzyme supplements are not a weight loss superdrug. As part of a balanced diet and lifestyle, however, adding such an over the counter option to your daily routine will have all kinds of benefits – including a shrinking waistline.